Recipes created, and borrowed, by the Guilty Vegetarian. 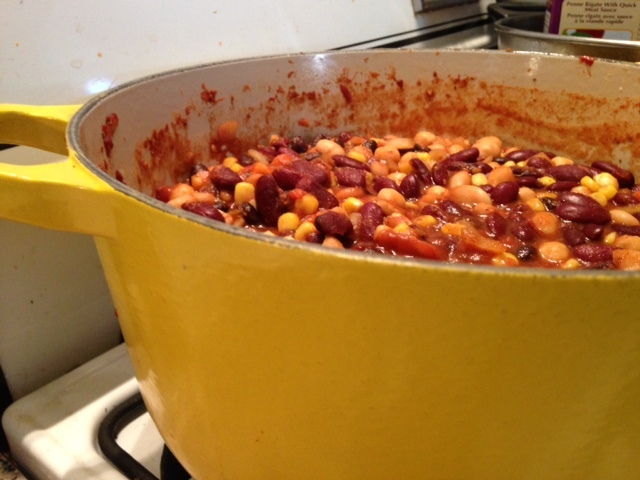 This chili recipe was given to us by the Barbosas who served it to us back in January when we were afraid to tell them that Marty was a vegan. Who wants to make trouble for their hosts by springing that kind of surprise on them without much advanced notice? I think we gave all them all of three hours. Then they came up with this terrific meal. Dice the onions and sauté in the olive oil, then stir in the minced garlic for a couple of minutes. Add tomato paste and tomatoes, molasses, chili powder, oregano and salt and pepper then stir. 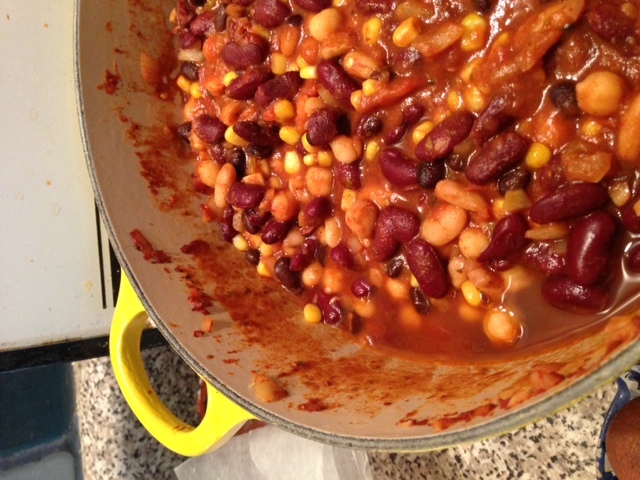 Add beans, corn and 1 cup of water and bring to a boil. Cover, then simmer on low for 45 minutes. Add red pepper and more water if required. Simmer for another 15 minutes then serve. The longer this chili cooks, the better it is.